Today’s To-Do: Stop Letting Other People Hijack Your Priorities. It’s easy to find tips on how to organize your email or manage your time. But conversations about productivity often ignore a much deeper problem, which is that many of us spend too much time reacting to other people’s demands. This expectation has become so ingrained in our work culture, in fact, that many of us don’t even realize it’s a problem. 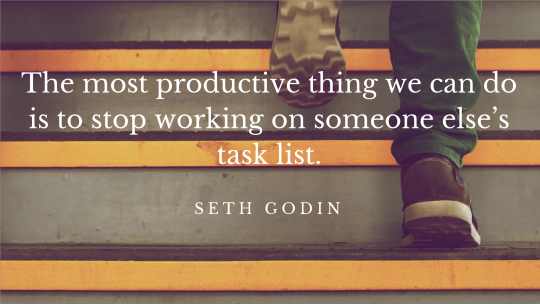 From a young age, we’re taught to let other people assign us tasks and hijack our priorities. The most successful people buck this pattern. They have their own agenda, and they find ways to push it to the top of their priority list. That’s what distinguishes them from the ranks of office drones who spend their days drearily pushing papers and deleting emails. To truly make an impact in your career, you’ve got to reclaim your to-do list. Here are three ways to do just that. Entrepreneur and bestselling author Seth Godin created a productivity pyramid in which he outlines essential steps for increasing productivity. At the base of the pyramid, he says, the simplest method is to work harder and get better at your tasks. As you climb the productivity ladder, other steps include finding people who can do your tasks at a lower cost than you and invest in technology that boosts your output. At the top of the pyramid, he places the pinnacle of productivity: Figure out better things to work on. Of all the factors that keep us running on someone else’s treadmill, email is arguably the worst offender. When you spend all your time responding to or deleting emails, you’re not proactively working on your own to-do list. Before you can take back your to-do list, then, you’ve got to shed some of your worst email habits. The truth is, many of us are addicted to email. In a Huffington Post poll on work habits, 60 percent of respondents said they spent less than two waking hours a day disconnected from email. Researchers believe this addiction arises from a self-imposed sense of urgency around email. When employees believe email must be dealt with throughout the day, it prompts an addictive reaction to incoming messages. In fact, many study participants suffered from a “recurrent failure to control the behavior”—to the extent that they read 70 percent of their emails within six seconds of arrival and 85 percent within two minutes of arrival. The good news is that if compulsive email checking is a self-imposed behavior, we change it by shifting our perceptions. 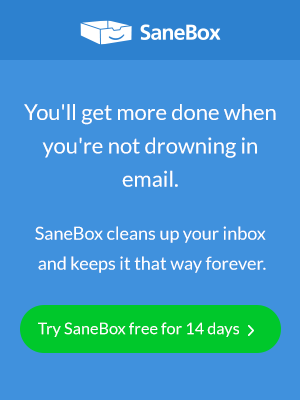 That’s not a switch you can simply flip, but you can start by asking yourself what it might feel like if every email didn’t need to be answered within 24 hours. You can devise some boundaries for yourself around when and how often you’ll check your email and teach your co-workers how to honor those boundaries. You can even put off figuring out how to organize your email until you’ve gotten a few of your bigger priorities out of the way.